HOLDEN has revealed the final locally manufactured Commodore, the VFII, 37 years after the original 1978 VB sedan launched. 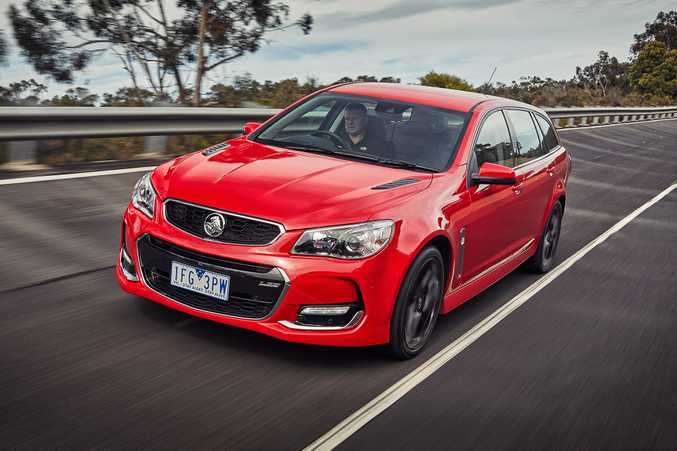 The new model is the fastest, most powerful and most advanced Commodore ever, with a new 304kW 6.2-litre LS3 V8 on offer, plus styling changes and revised specification over the current model. The new car was launched at the brand's headquarters in Port Melbourne against a backdrop of Commodores from every series since 1978, concept models and race cars. The new VFII will be the last Commodore wholly developed and built in Australia before the factory closes operations in late 2017. The Commodore name will live on beyond this on an as yet unknown imported model from the General Motors family. 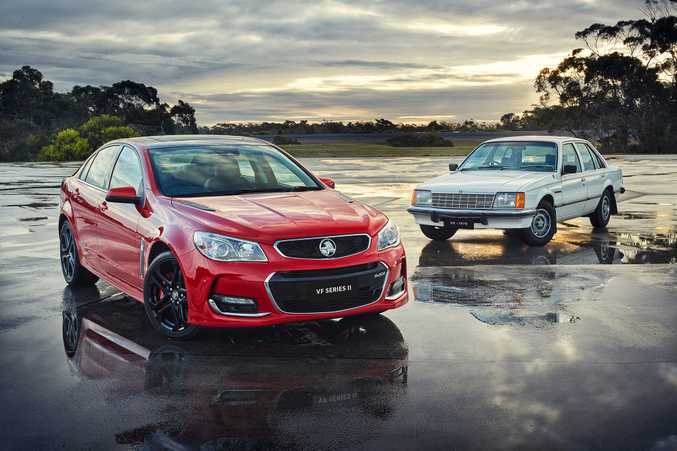 FIRST AND LAST: 37 years in the making, the Commodore VFII pictured alongside the origin of the species: a 1978 VB Commodore. 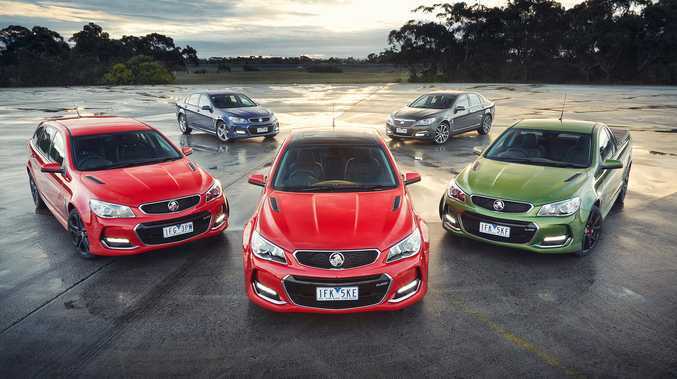 The final all-local Commodore closes a long and important chapter in Australian motoring history. Since the nameplate's launch 37 years ago the Commodore has won five Wheels Car of the Year awards, enjoyed 15 straight years as Australia's top-selling car, has won Bathurst a record 22 times and been owned by over three million drivers. Biggest news for the new VFII is the introduction of a new 6.2-litre LS3 engine to all V8 models. This 304kW/570Nm engine - straight out of the Chevrolet Corvette - makes the VFII the quickest Commodore ever, posting a 0-100kmh sprint time of 4.9-seconds. The new engine comes with a bi-modal exhaust and mechanical sound enhancer to help it sound as good as it goes, and on demonstration fire-ups the new V8 certainly has the beastly, V8 Supercars-esque growl Australian V8 fans will adore. Styling wise a new front fascia, bonnet vents, fascia ducts, clear lens rear lights (sedan) and LED rear lights (Sportwagon) all feature. The VFII has had chassis tuning at Holden's Lang Lang proving ground, with developers saying the revised FE3 rear sports suspension "increases ride comfort whilst retaining its sharp handling." Prices for the VFII start at $35,490 for the Evoke V6 Auto Sedan, while the entry-level V8, the SS Manual Sedan, can be had for $44,490. The Commodore VFII goes on sale in October with Holden saying it expects demand for the V8 variants to be extremely strong. 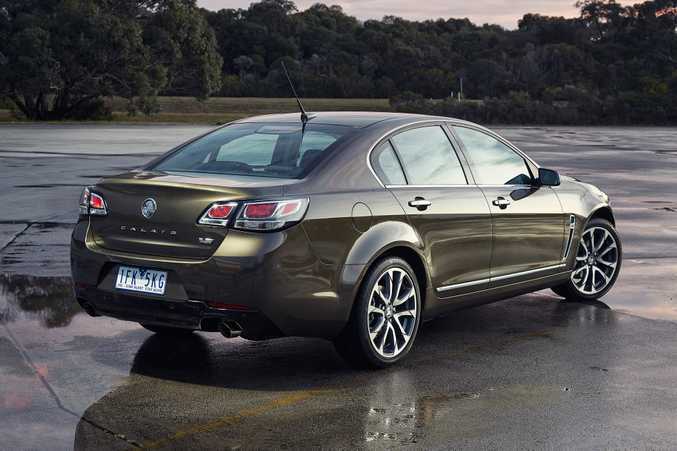 MUSCLED LUXURY: 2015 Holden Commodore VFII Calais V.